Once, a long time ago, we were sitting in the front lobby of a diocesan office and witnessed an argument between a bishop and members of the diocesan staff. The bishop had asked some of the staff to do something that they thought was wrong. As a visitor, we remained silent, but we agreed with the staff members: the request did seem to be inappropriate. The bishop flew into a rage, grabbed the front of his shirt with both hands, and shouted 'You must do this because I have told you to. I am the one in the purple shirt'. The next day we heard the incident being discussed in the lunch room as an episode of testosterone poisoning. Yesterday the English-speaking world celebrated the 50th anniversary of the US childrens' television programme 'Mr Rogers' Neighbourhood', produced in Pittsburgh by a Presbyterian minister named Fred Rogers. We have watched many episodes of that programme (870 were produced and broadcast) and in every case we remember Mr Rogers as being strong and in charge without exhibiting any of the behaviours that had provoked the comment about testosterone poisoning. In truth, Mr Rogers had a personality that we think would be right for a bishop. We are aware that in many cultures, a man's failure to exhibit barbaric and aggressive behaviour is seen as a personality flaw needing to be ridiculed, and thankful that it is mostly no longer so in our environment. We have heard it said that much of the churn and conflict that has been roiling the church is a desperation-fuelled attempt to preserve the tradition of patriarchy. 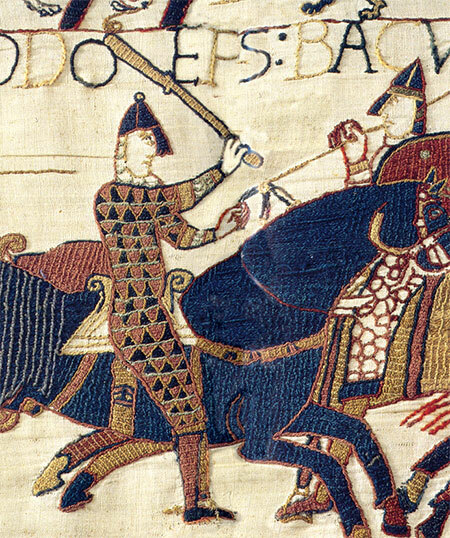 Historically, men were in charge because they were bigger and could carry heavier clubs and wield longer swords. This engendered the creation of a world where men were in charge and women were subservient. It is no longer required to have the longest sword or the heaviest club in order to dominate, but in recent centuries those who have felt entitled to dominance have had a hard time sharing power. For as long as we can remember, whenever we have heard someone spouting the opinion that women can't be priests or women can't be bishops (or women can't be this or that), the message we received is that having women as priests or bishops would endanger the traditional male patriarchy. In countries where slavery was important, such as the USA, the stakes are not just the preservation of male patriarchy but of white male patriarchy. The Anglicans Online News Centre, when reporting on episcopal elections around the world, has long since stopped using the term 'woman bishop' or 'female bishop'. We refer to them as 'bishops'. It would be peculiar to describe a new bishop as 'the first red-haired bishop taller than 175cm'; we think the term 'woman bishop' is now every bit as peculiar. The problem is nowhere close to solved. Most churches (not just ours) are very much male dominated, and we still tolerate people who present arguments why women shouldn't be priests or bishops. Changing our vocabulary is a start, not a solution. It is still slightly newsworthy when all of the candidates in a diocesan episcopal election are women. In Kansas, Colorado, and West Tennessee that seems to be true. We hope that next year when all of the episcopal candidates being considered for election in a diocese are women, that it will no longer be noteworthy. 'Look! All of the candidates have eyes and a nose!' And we hope in our lifetime to see gender parity in the population of bishops, especially diocesan bishops.